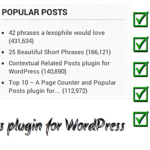 Though WordPress does provide users the ability to search your blog, it is highly limited in any features. Additionally, all it does is a simple search for the term and lists the post in descending order of their post dates. It may so happen that a user may not even find a relevant search result. This is where Better Search comes in. Weblog Tools Collection has an improved search system that allows users to search for posts based on their content and relevance. 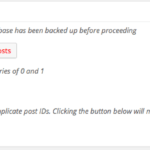 I’ve adapted the code by Mark into a plugin for easy installation on your WordPress blog. Better Search will provide contextually search your WordPress blogs and then list the results based on relevance. Thus improving your visitors search experience. 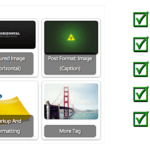 The plugin integrates cleaning in your blog, completely replacing the inbuilt search. Additionally, the plugin will track the searches and allow you present a ?search heatmap? of the most popular searches. There are two types of heatmaps, the first one displays the most popular searches overall. The second one is a heatmap that you can select a date range. By default, I’ve set it for seven days, i.e. a week. Feel free to choose a custom date range of your choice. I suggest setting this limit by studying the number of searches made. 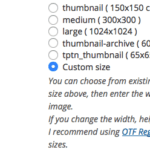 On low traffic blogs, you may need to set it to as much as a month. While higher traffic blogs may choose just one or two days. There are still a lot of features that I plan to add to Better Search. Feel free leave a comment with suggestions / recommendations. Remember all support questions should be directed to the Support forum.